lemontwist: I bought a few baits from her. The transaction was easy and the ponies were as described. Scooter Sprite in particular had awesome hair. Thank you lemontwist! Ren-Ren: Sold me a light up Pinkie Pie McD toy and was an absolute delight to work with, would definitely buy from again! 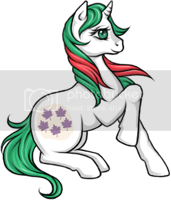 gemini_pony Bought a pony from me, paid quickly, had great communication, was an absolute pleasure, would love to do business with again! KiwiSquirtBottle was my partner in the Unofficial Newbie Holiday swap... She sent me a wonderful custom pony... and everything went smoothely! Thanks so much for a wonderful pony! Location: In a crazy crazy world...jk! NEW JERSEY!!! 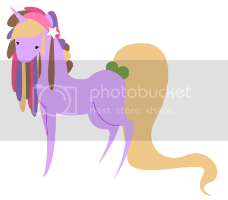 MissSleepless - i traded my dollymix powder for MissSleepless's dollymix applejack and communictaion was great, pony arrived very quickly and i'd totally trade from her again. a wonderful member, thankyou! thanking SourdoughStomper for medley & Inuyasha23 for my avi i am NOT 'sosoftbuttons' on ebay!!! Sorry for the copy/pasta feedback, but.... Is all true! sabathamk - wonderful buyer! paid fast, was friendly and responsive to messages, and stayed in contact until delivery. 5/5 stars! secretsheik was so nice and grabbed me two of the FIM bath sets. Pretty nice person to deal with, packed well & fast shipping! Thank's a bunch!